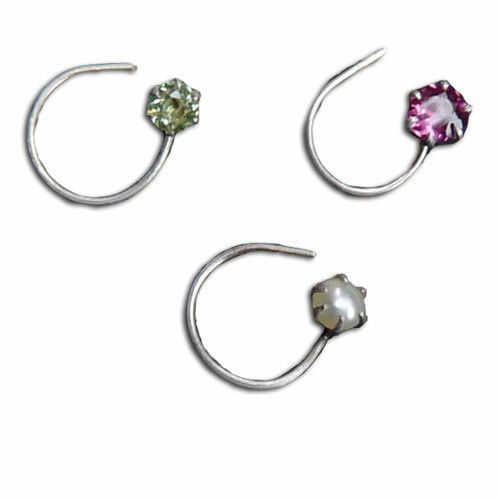 Sterling Silver Nose Ring Stud (nose screw, nose pin) set of 3 with pearl, peridot and pink toumaline. Gemstones 2.5 - 3 mm diameter. Thin silver wire can be gently adjusted and lays flat against the inside of your nostril for total comfort. For pierced noses only. Can also be used as an earring stud.